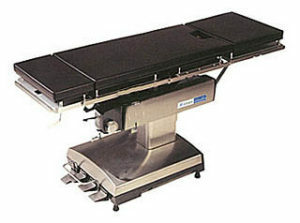 Skytron 6001 Operating Table | Refurbished. 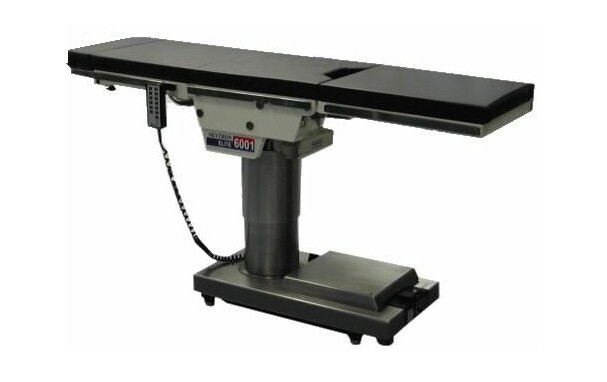 The Skytron 6001 is a modern surgical table with a 500 Lbs weight capacity (in normal position). 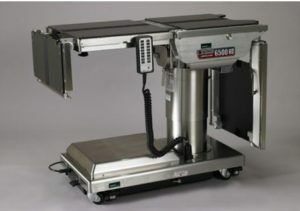 The 6001 has a 180º tabletop rotation. The table also has North American side rails which fit most accessories. Note: Please see “Options” below for more additional accessories. 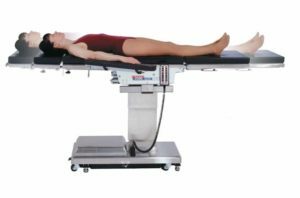 Additional Features of the Skytron 6001: The Skytron 6001 surgical table is a multi-purpose operating table and a great choice for almost any surgical settings and is C-Arm Compatible. 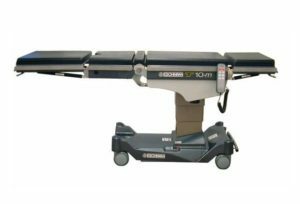 This table has been rigorously and completely professionally refurbished and comes with a Wired Hand Control, Hydro-electric Floor Locks and New Pads. See tabs for more information.